The circular analyzer tubes feature a conical false bottom, which prevents probe from crashing in most systems and allows for easy placement in a test-tube rack. The tubes are made of polypropylene and are available with printed graduations. The caps, packaged separately, seal per ASTM D3078 to 95kPa. Therapak’s most popular transport tube, the 10 mL serum tube has successfully passed the 95kPa pressure test. The tube and cap are polypropylene. 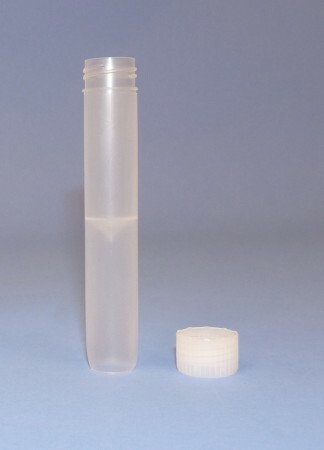 Use as a transport tube for serum or a universal pour-off tube. 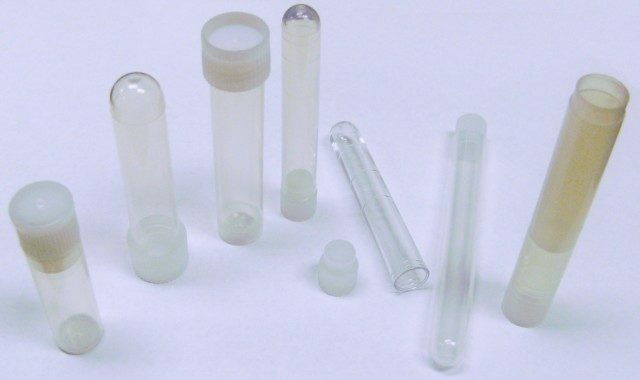 Made either with crystal clear polystyrene for glass-like clarity, or clarified polypropylene for excellent contact clarity, impact strength, and chemical resistance, these tubes, when combined with the matching cap, provide excellent durability and leak-resistant properties for a wide variety of storage and transport applications.